White Pearl Solitaire Ring: Classic and cult finery with a white Ocean Pearl mounted on a narrow silver band radiating a lovely, shimmering finish. Dress to impress with this gorgeous freshwater pearl ring from the Bali Collection. Adding fervor and allure easily with this sterling silver ... Read more. White Pearl Solitaire Ring: Classic and cult finery with a white Ocean Pearl mounted on a narrow silver band radiating a lovely, shimmering finish. 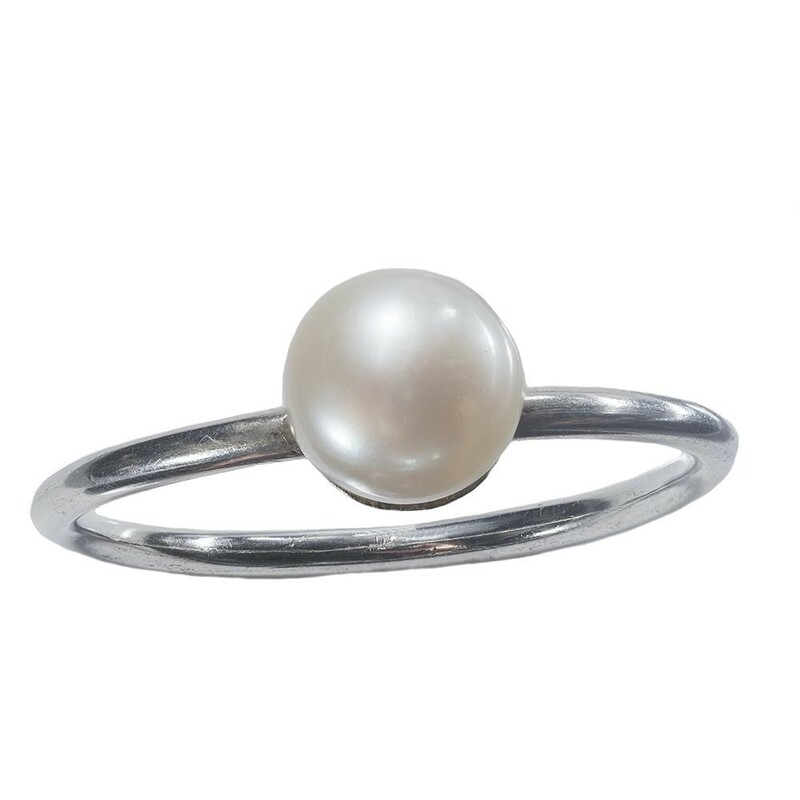 Dress to impress with this gorgeous freshwater pearl ring from the Bali Collection. Adding fervor and allure easily with this sterling silver ring to complement your flamboyant and chic style. *Dimensions given may vary according to size. Materials: .925 Sterling, Mother of Pearl.